i'm not usually one to invest in fancy sunglasses, mostly out of fear of breaking or losing them. god knows how many pairs of shades i've left in cafes, on park benches and in trains, how many I have sat on, lied on and stepped on. last summer however, i made an exception and treated myself to the Ray Ban Clubmaster model I had been wanting eyeballing for quite a while. it's always a great feeling to own something you've been wanting for a long time so wearing those lovely glasses made me feel like a million bucks. and the best part - i could wear them every day! i worshipped those glasses and it broke a bit of my retail-loving heart when they didn't survive a 2-week backpacking trip to through thailand. i hope whoever found them values them now as much as i did. when it comes to sunglasses I am team Ray Ban all the way and that's why it was my great pleasure to be asked to review the new ENVISION series by Ray Ban for which i asked my best friend bea to play model. what better place to testdrive sunglasses then on a holiday to someplace warm? 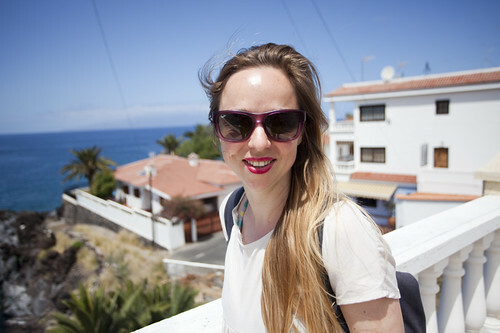 a few days in sunny tenerife awaited us and we packed 3 lovely models from the Ray Ban ENVISION series to test them for looks, quality and function. bea's first reaction when swapping her highstreet glasses for the Ray Ban model? "everything looks so beautiful through these!" the glass on these shades is chemically hardened to resist breakage, abrasion and scratches, even beyond industry standards. 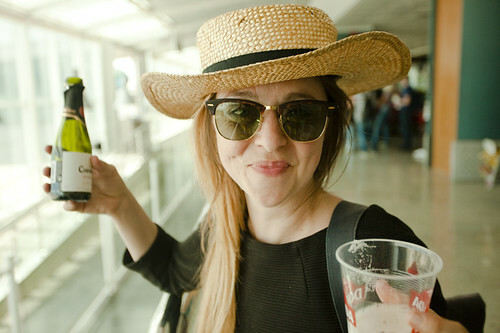 in short, those sunglasses will have a long happy life, even if you're among those who like to occasionally just dump them in your purse (this one is guilty of that), making them perfect for traveling. looking through them is clean and clear business, hiding not even the smallest detail of what is happening around you so you don't have to take them off a lot. what sunglasses are you wearing this summer?